Although we want to show our support for Charlottesville and against the White Supremacists Movement, DON'T LOSE TRACK OF OUR GOALS - FLIP THE 49TH, TRUMPS BUDGET, TAX CUTS AND AFFORDABLE HEALTH CARE. DARRELL MADE THE NEWS AGAIN!! Oh, that's right. This organization is a lobbyist group. I wonder how he helped them? 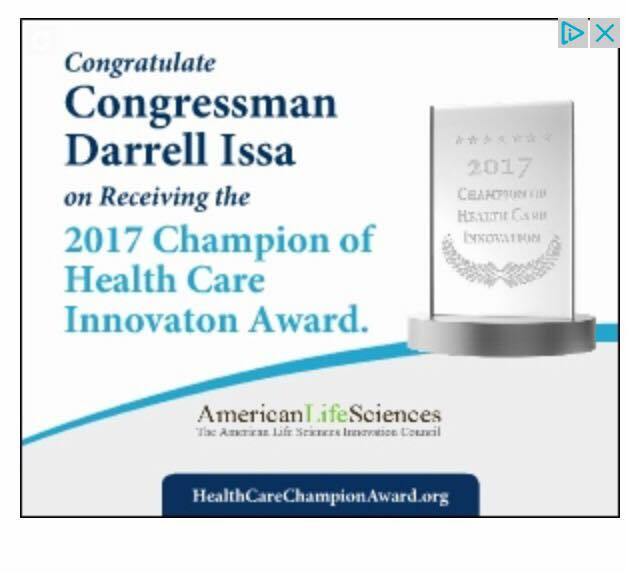 "A raspberry — the Missing the Rogue Elephant in the Room award — to Rep. Darrell Issa . . ." Just part of an article In the August 20 San Diego Union Tribune. Read here. Tuesday, August 22, 10:00 a.m.: Weekly Rally at Issa's Vista Office - "It's Too Little Too Late"
Join us this week for a peaceful rally that celebrates our differences. That condemns the hate-filled rhetoric we've been seeing. That shows us that love trumps hate. DEMCCO and North County Latino Democrats are once again providing Neighbors in Action Training. THANK YOU LISA. We want to thank Lisa M for all her hard work in getting Indivisible49 started and getting things organized. We have over 400 members in our organization and growing. Lisa has decided to step back into an advisory role and will be working with Misty O'Healy and the rest of the Team Leaders. For those of you who do not know, we have five strong teams - Administration, Legislative, Website, Social Media, and Events. If you are interested in helping out on any of these teams, please contact the Team Leader shown on the Committee page of Indivisible49's webpage. FROM ROGAN'S LIST: It has been a long nine months since the election. We’ve worked hard and have enjoyed some successes. We are also learning that we need to take care of ourselves for the long haul. A number of resistance groups are sponsoring a Burnout and Sustainability Training for activists. This online training is scheduled for Saturday August 26th at 6p ET. It will be presented by Aditi Juneja, co-creator of Resistance Manual, OurStates.org, and host of the Self Care Sundays podcast. Here is a link to the Facebook event: https://www.facebook.com/events/1091424407656160/ and here is a link to the registration form: http://bit.ly/2wyWt16. Let’s do this! Stay Tuned for how you can personally work against the White Supremacy Movement.